October used to bring bustling business to Persona Vintage Clothing and Costumes because of sales from Halloween. And 2017 may be Persona’s final Halloween. 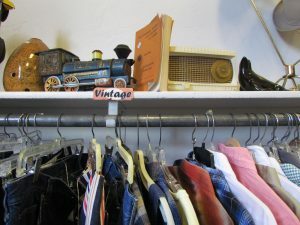 After more than 37 years in business, the vintage store will be closing within the next year and a half, depending on when the shop space is leased. Persona is just one of downtown Gainesville’s businesses struggling because of the popularity of online stores. Websites and apps including Etsy, Amazon and Wish are replacing brick and mortar small businesses. While shop owners think the internet has been useful for marketing, fewer sales have often led to much less profit in the past decade, causing some to close completely or take their businesses elsewhere. Artist Allison LeBaron got a head start using the internet to sell her work, but recently, it hasn’t been paying off. She has sold handmade leather journals on her website since 1991, but changes to the online buying culture have made sales much less profitable. “Sales have just gone way down from what they used to be because there’s so much competition now,” she said. Each of her journals have painstakingly hand-sewn seams and unique qualities, but people can buy similar mass-produced items from competitors for half the price, she said. 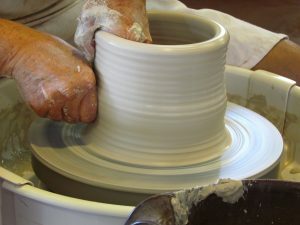 To accompany waning sales from the journals, LeBaron established Art Alley, 717 NW 1st St, a ceramics studio where visitors can create hand made clay bowls and figurines. LeBaron said although she will continue to make and sell journals, having her own studio is a dream fulfilled because she can make art and share the experience with others. 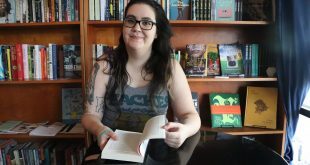 Building relationships among customers is one of the main reasons Cat Lisle, owner of Loop de Loop, 205 NE 16th Ave, said she hopes brick and mortar shops can withstand the internet’s influence. However, she said she has noticed a definite decline in sales since the 2008 economic recession. She said before the economic downturn, the vintage clothing and art shop had both very busy days and days where very few costumers might come in. 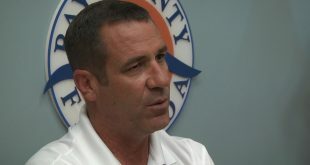 Co-owner Perry Der said business has probably declined by about 70 percent in the past decade. 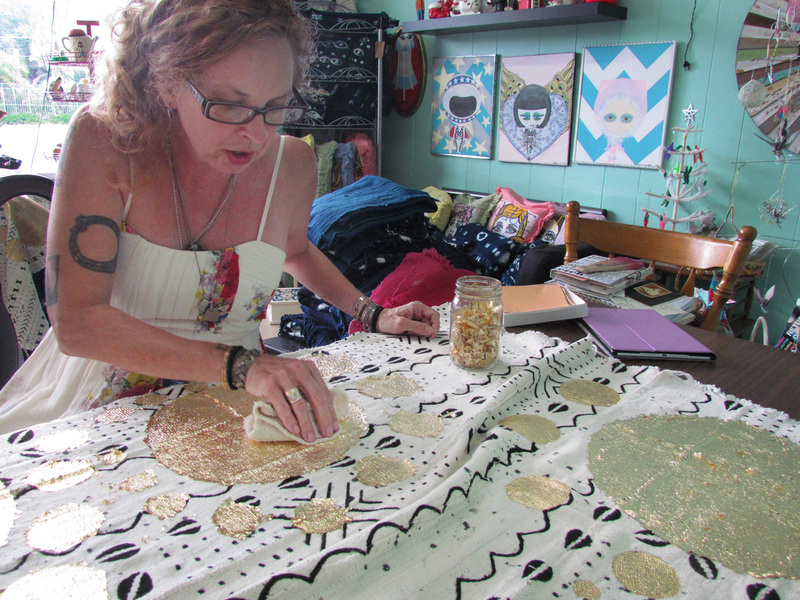 He said he and Lisle have worked to sell Lisle’s handmade tapestries online, but the abundance of similar items already on the web make it hard for her work, like LeBaron’s, to stand out. Social media is another recent factor that has played a role in creative businesses. 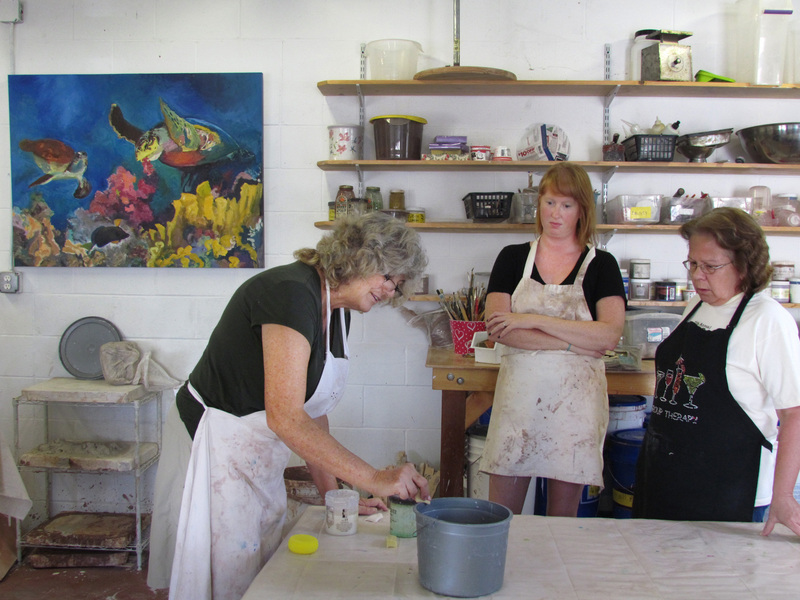 It has brought greater awareness to arts and crafts fairs in Gainesville, often held in the center of downtown. But Art Alley’s LeBaron said the fairs, which used to draw so many artists to the area, are decreasing in popularity, especially among younger artists who might not break even for money they pay to rent tent space in the show. Lisle, from Loop de Loop, said she would rather travel to South Florida to attend shows because Gainesville residents are not buying art like they used to. Shop owner Dina Michael said owning a profitable retail shop is possible, but location is key. And downtown Gainesville does not fit in the lock. 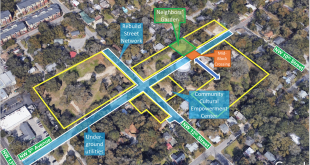 “There isn’t a great area for retail where people can park and shop in Gainesville,” she said. Expensive rent is another reason why Michael, despite living in Gainesville, made the change to work outside of the city. 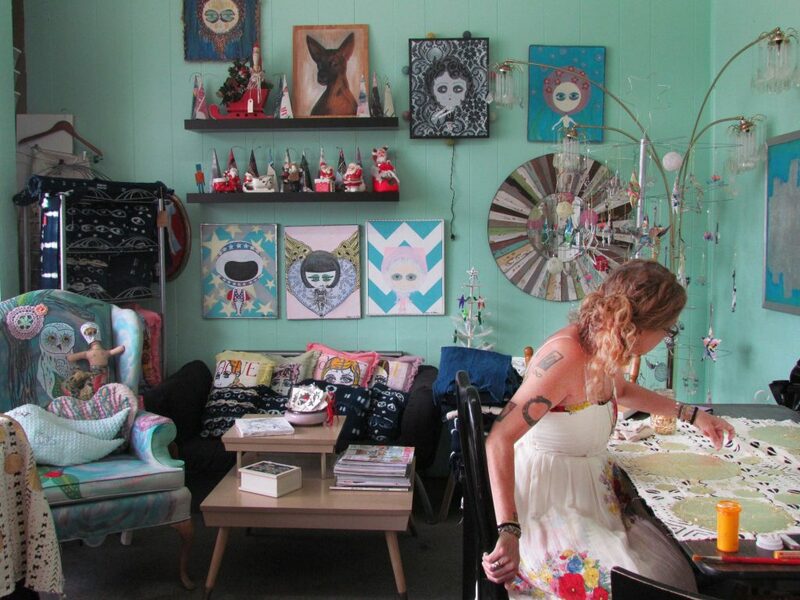 She owned The Pop Shop, a vintage housewares store, in Gainesville before closing it in 2013. Now she owns Winters Past, a vintage clothing and accessories store in Micanopy. However, Michael embraced new technologies trying to increase her sales. She uses sites such as Etsy and EBay and phone apps like Instagram to sell some items. She said what she chooses to post will change depending on the platform because they cater to different customers. Back at Persona, the wooden sign welcoming customers to the downtown shop, next to frequented theaters and coffee shops, is accompanied by a “For Lease” sign. Ottemberg offered advice for people who want to help small businesses like Persona: Try to find items in person before immediately turning to the internet, she said. She said not all technology has been bad for business. Persona has used social media platforms including Facebook and Instagram, which were far more effective to drive business than traditional print ads. And they were free. 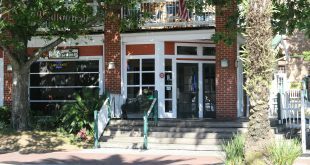 Ottemberg said she is not optimistic for retail businesses in Gainesville, but that downtown will continue to be profitable because it has great restaurants and a social atmosphere. “It’s only when things are absolutely gone that people say, ‘What happened?’” she said. Emily Mavrakis is a reporter with WUFT News and can be reached by email at mavrakisemily@gmail.com or by phone at 352-392-6397. Student-housing developers are building new high-rise apartments in place of businesses like The Swamp Restaurant, Larry's Giant Subs and the Post Office as soon as January 2020.